Pop goes my theory then. 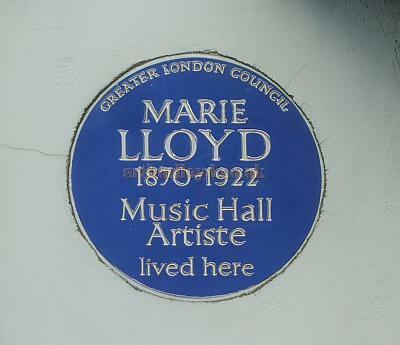 Lloyd's songs, although perfectly harmless by modern standards, began to gain a reputation for being "racy" and filled with double entendre, ("She'd never had her ticket punched before" for example) largely thanks to the manner in which she sang them, adding winks and gestures, and creating a conspiratorial relationship with her audience. She became the target of Vigilance or "Watch" committees and others opposing music-hall licenses. She liked to claim that any immorality was in the minds of the complainants, and in front of these groups would sing her songs "straight" to show their supposed innocence. In one famous incident, she was summoned before one of these committees and asked to sing her songs. She sang "Oh! Mr Porter"; and "A Little of What you Fancy" in such a sweet innocent way that the committee had no reason to find anything amiss. She then rendered the drawing-room ballad "Come into the Garden Maud" in such an obscene way that the committee was shocked into silence. She did herself no favours. I'm struggling through a Sonic Youth biography. It's not bad but they're not exactly the most rock n' roll for Danny Sugarman style excess stories. Most interesting bit so far (300 pages in) is they got paid a (low) seven figure amount for doing Loolapalooza in 1995. A million dollars!? Sonic Youth? Madness. Derek Raymond - How The Dead Live. Picked up a copy after a reccomendation here on the board. Excellent stuff, that nameless narrator is a great character and he always has something offensive to say. I've been reading David Kynaston's books about Britain: Austerity Britain (2007) and Family Britain, just out - I believe his ultimate plan is to cover our post-war history up to the present day. They're excellent, full of surprising detail. Why is it that you start getting more and more interested in history as you get older? Is it a counterbalance to death awareness syndrome? Apparently ghost-written by an NME journalist and factually questionable, but still fun. Re-reading Parade's End by Ford Madox Ford. 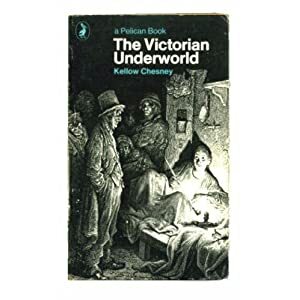 Perhaps not the best novel in English of the last century, but I'd argue for it as the best novel by an Englishman. Maybe it's because you stop focusing on what is immediately around you, the contemporary, as it becomes less targeted at you, and you start wondering more about where you've come from. Related to having kids maybe? Last book finished - A Fighter's Heart by Sam Sheldon. Very literate and thoughtful account of the author's training in various different (hard i.e. mostly full contact) martial arts around the world. Fascinating stuff - includes an eye-opening final chapter on dog-fighting!). Otherwise, been wading into the ocean of Indology reading again, starting with the wonderful David Kinsley. I really enjoyed "Austerity Britain" which I read a while ago. Picked up "Family Britain" the other week and that's next in the pile. I also read some of Kate Atkinson's recent crime books, which are great fun, and a couple by Frances Fyfield, who's a bloody excellent writer.